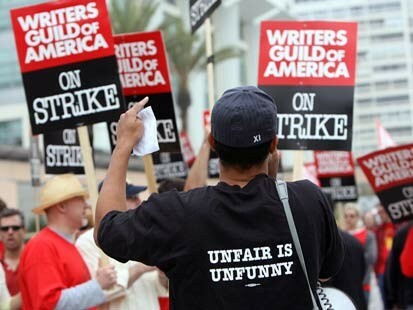 The writer's strike screwed me out of a lot of quality programming this season. That's time I spent reading, writing, and talking to loved ones. I remain bitter. Batting Stances: 1980's - If you didn't watch a lot of baseball in the 80's don't bother with this one. 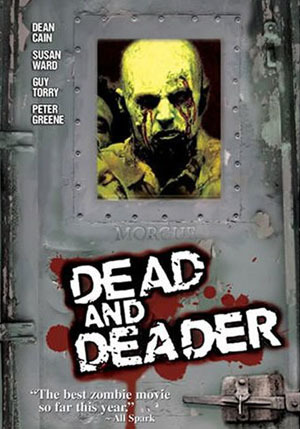 What do you get when you combine Dean Cain, John Billingsley and zombies? Kind of a crappy movie, actually. While it has a great title and some pretty slick packaging, the movie winks at you a little too much to make it enjoyable crap. If I have said it once I have said it a thousand times, camp on purpose does not make camp. It is hard to find that high level of crap film enjoyment when the crap film seems to be telling you, "hey, I'm a crap film. Aren't I clever?" And then I say, "no, no you're not." Ah, I am just now putting together that this is the Chariots of Fire guy. I thought this record was a lttle too impressive to be some random synth tunes from the mid-70's. 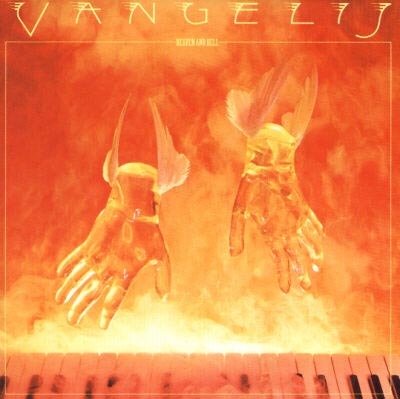 I enjoy how they sum it up on the back: "All kinds of keyboards, percussion, and sundry instruments played by Vangelis." You got that right. There is a lot going on here. And how dramatic is that cover? Really gives you something to think about. What's your beef, Stew? - A sweet way to ask somebody what their problem is. Usage - "Dude, you need to bounce back from your bad date." "Dude, when you're right, you're right. Now give me your sister's number and let's commence with the bagpiping." "Dude, don't make me put you in the Perfect Plex." 06. When I defraud an elderly couple out of their life savings, I always immediately stimulate the local economy with frivolous purchases aplenty!